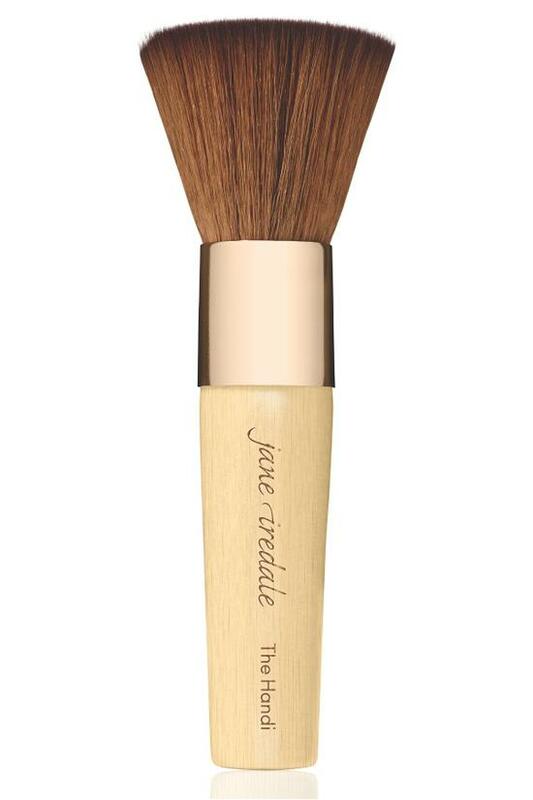 Handi™ Brush - A favorite makeup tool for women in-the-know, Jane Iredale's ultra-popular Handi™ Brush is designed with soft, flat bristles to evenly distribute and apply powder foundations and bronzers, leaving your skin with a smooth, flawless finish. Its compact size makes it perfect for on-the-go application. Optimal makeup brush for our pressed powders.